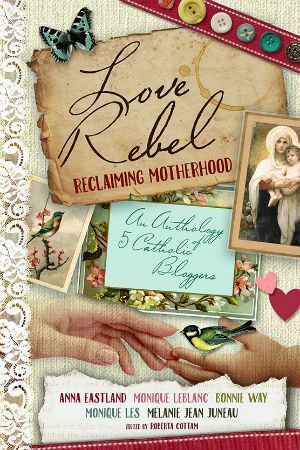 Ginny Kochis is a Catholic homeschooling mom with a writing background like me. We hang out together in a Facebook group for Catholic mom bloggers. I’m delighted Ginny took a few moments to share more about herself with me and you. I hope you’ll drop by her blog and say hi! Ginny: I’ve been writing off and on for about fourteen years. I started my first blog in 2004 as part of a graduate school project. I used it to write with and for my ninth grade English students. When my husband and I welcomed our first child in 2006, I found myself at the cusp of a ten year battle with postpartum depression. I pretty much quit writing. Two more children arrived during that decade, but I didn’t actually get help for my depression until my youngest was about a year old. Treatment made such a huge difference! I could be present and active in my family’s lives, and for the first time in years I actually wanted to write. I started my current blog in November of 2015 but sat on my first post until the following February. I’ve been writing there ever since, in addition to a few freelance positions along the way. 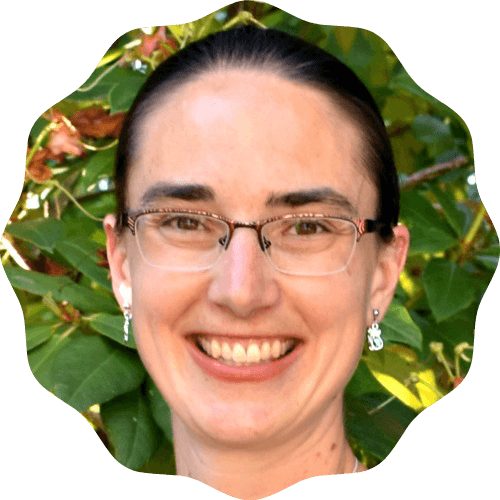 Ginny: My blog’s name stems from my philosophy on writing instruction, my Catholic faith and my life as a homeschool mom. As I mentioned previously, I was a high school English teacher before I had my children. When I started teaching I was a proponent of structured, formulaic writing curricula—the kind where you provide a plug and play format for different types of writing and have the student fit their content into the structure. That changed when I became a Teacher Consultant for the National Writing Project, a cross-curricular consortium of teachers devoted to authentic writing instruction. Through research with my colleagues and practical application in the classroom, I discovered that formulaic writing instruction did more harm than good. My students were frustrated, their writing was repetitive, and we were just going around in circles in the classroom. I ended up scrapping all of that and starting from scratch, building a curriculum that emphasized organic writing instruction. I worked with my students to develop critical thinking skills first. We read and analyzed high-quality literature and applied those authors’ techniques to our own writing. The results were phenomenal. My philosophy was forever changed. This even extends into my faith and life as a homeschool mom. So many people think they know what it means to be Catholic or what it’s like to be a homeschooler. Tthe truth is, preconceived notions of bigotry and isolationism couldn’t be further from the truth. In the same way that I want to share my knowledge of composition, I want to help people understand the truth of the Catholic faith and the beauty and flexibility of homeschooling. 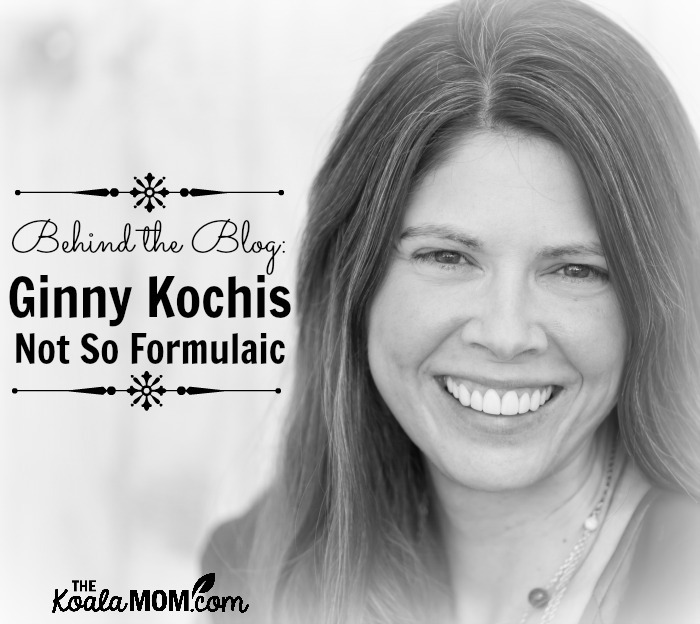 So that’s why my blog is called Not So Formulaic—my philosophies don’t fit the standard formula. Ginny: I try to post three times a week. I have a few commitments that keep me on schedule. Ginny: Writing. It’s like breathing for me—I don’t know how I went so long without it, except that I was so depressed I could hardly get of bed in the morning. My least favorite part is self-promotion. I guess I sort of expected to have readers appear out of the woodwork. It doesn’t work like that! Ginny: Let go of comparisons. There’s that old saying about comparison being the thief of joy—it’s so true! Jealousy can be a big sticking point for bloggers. The more I pray for humility and for God to work through me in my writing, the easier it becomes. The minute I start competing for page views, followers, etc., the harder it is to keep going. Ginny: Facebook is great for sharing my posts, but I’m really starting to enjoy Instagram. It’s more personal, and I don’t get a lot of political posts, which I’m loving.